however, British and in 1940 they became the first and only British territory to be occupied by the rapidly moving armies of Hitler’s blitzkrieg. In 1944 Lieutenant Colonel Hubner was charged with making a record of the immense fortifications. His team was drawn from the Divisionskartenstelle , the Divisional Cartographic Section, with some fourteen noncommissioned officers working across: drawing, photography, cartography, calligraphy and printing. The result is a stunning and comprehensive picture of the fortifications and a complete guide to their workings. 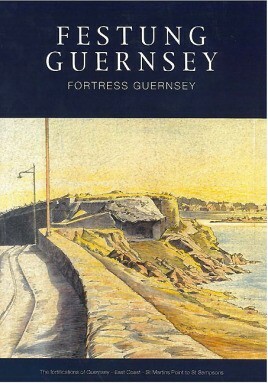 This volume covers the coastal fortifications along the east coast from St Martins Point to St Sampsons.